Recently, I shared my fermented gifts guide to help people find helpful tools for all types of home fermentation – books, appliances, storage vessels, etc. And now it’s time for its companion: homemade bone broth! Making homemade bone broth on a regular basis is not just great for overall health but it’s also great for saving time in the kitchen. Not only can you broths to make an almost infinite variety of quick, simple meals, but they’re also conducive to cooking things in bulk – soups, stews and slow cooker meals – that can be reused throughout the week. I make so many bone broth-based meals now that I have a chest freezer just for storing bones and broth. No joke. Well, truth be told, not much. But, there are certainly some helpful tools to have around. These will surely come in handy as your broth-making skills and repertoire expands. So I’ve put together a little guide with what I consider the 7 MUST HAVES for preparing, storing and transporting your homemade bone broth. Let’s kick it off with some books I highly recommend. Homemade Bone Broth MUST HAVE #1: Cookbooks! 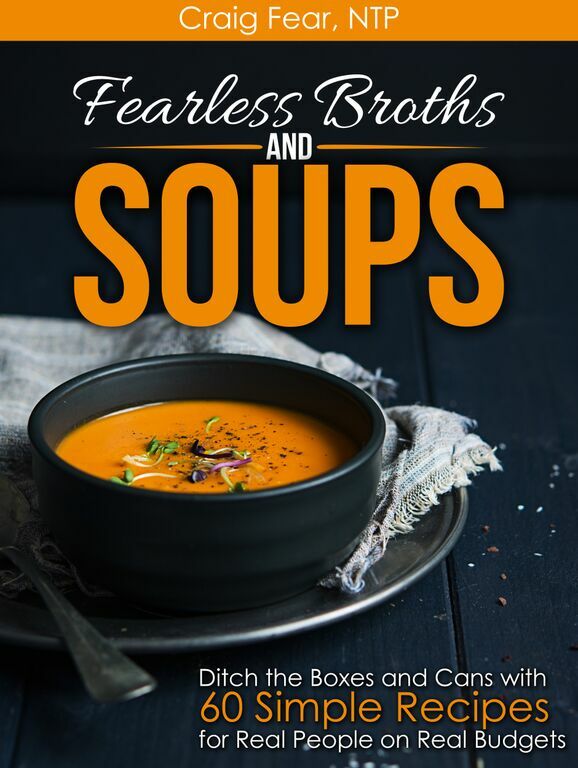 OK, I may be a little biased with this first one but my new book, Fearless Broths and Soups, will make a great companion in your kitchen. With chapters on simple broth for breakfast ideas, asian noodle soups, creamy vegetable soups and soups from the sea (which use fish broth), there’s a little something for everyone. 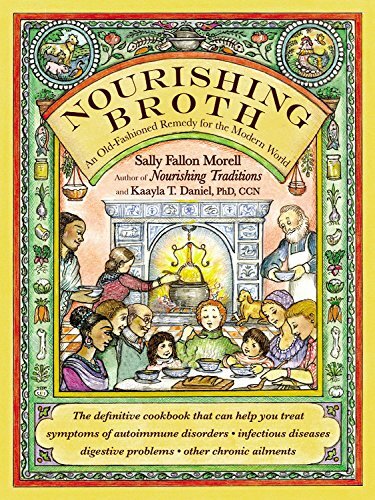 The most comprehensive book on bone broth ever published, Nourishing Broth explores the science, the history, the health benefits and of course, tons of awesome recipes. 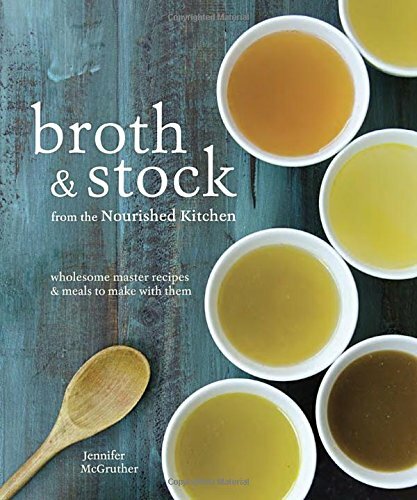 Broth and Stock by Jenny McGruther of the popular traditional food blog Nourished Kitchen, is beautifully photographed and includes master recipes for bone, vegetable and seafood broths with dozens of creative recipes that use them as a foundation. Once your start making homemade bone broth regularly, you’ll be surprised how quickly you can go through it. A standard 8 quart stock pot doesn’t make much stock when you account for the bones. This is why I recommend investing in a stock pot that can make A LOT of broth. 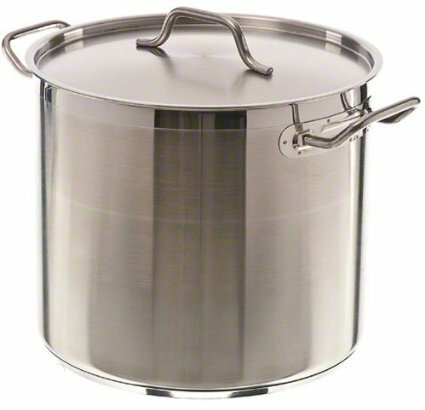 This sturdy 20 quart pot makes enough broth to last me about 6-8 weeks. I love making it once and being done with it for several months! Many people feel more comfortable using a slow cooker instead of leaving a pot on their stove all day. Another thing to consider is that most slow cookers are not conducive to creating a gelatin-rich broth. Click here to see a video demo comparing the gelatin content of a broth made in a stock pot vs. a slow cooker. Still, many people report their broths gel beautifully with a slow cooker. 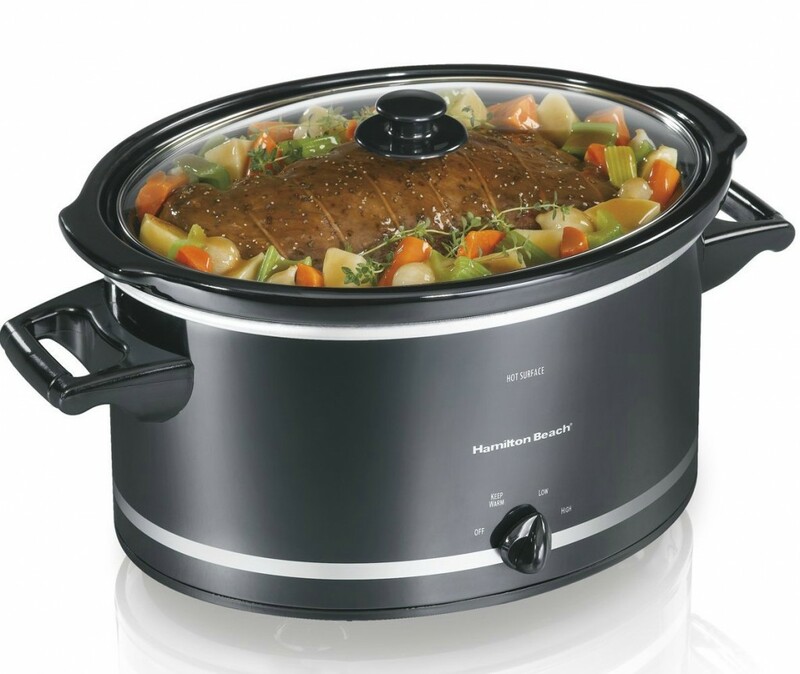 This Hamilton Beach slow cooker can hold 8 quarts, more than most slow cookers, and is thus a good choice for making homemade bone broths. Using a pressure cooker to make homemade bone broth has become all the rage lately. 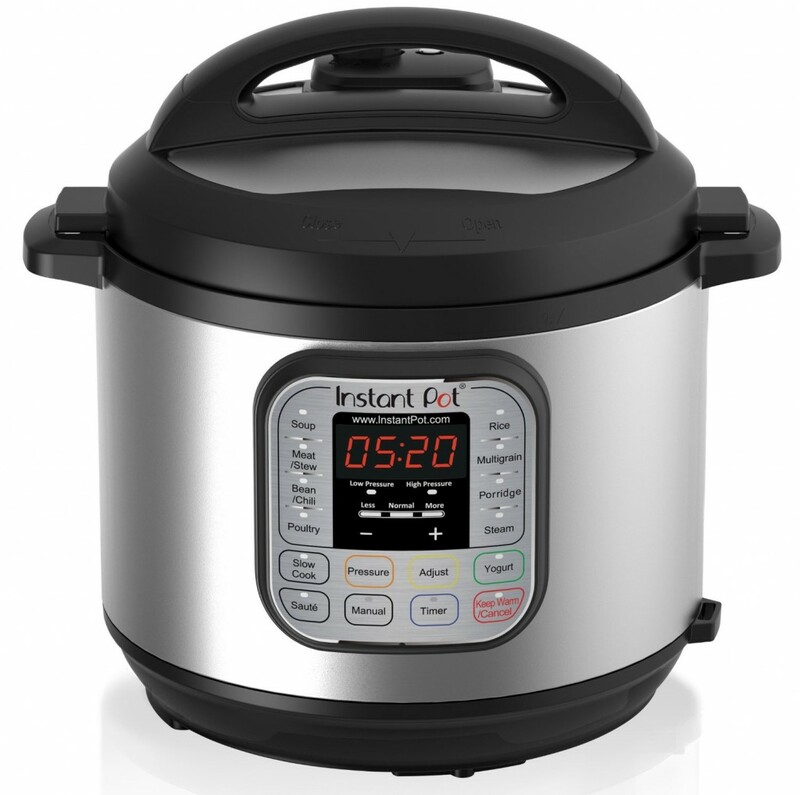 Pressure cookers cut the simmering time dramatically but still preserve the nutrient value. Food Renegade wrote a great post about the health benefits of using a pressure cooker. The main reason I haven’t invested in one of these yet is that I love getting a huge amount in one shot with my large stock pot. But I understand the simplicity and convenience of using a pressure cooker. If that suits you, this programmable pressure cooker is the one to get. 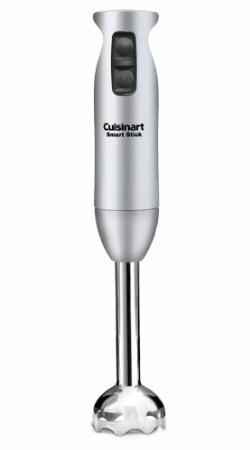 An immersion blender is a great tool for pureeing your creamy bone broth-based soups right in the stock pot. Never deal with the splattering of a hand-held blender or the messy transferring to a regular blender ever again. This is the one I use and I’ve been happy with it so far. 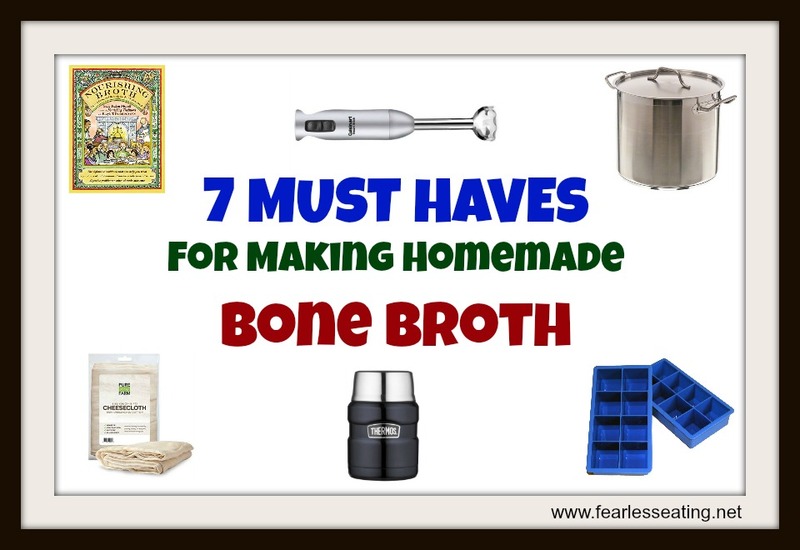 Once you make your nourishing homemade bone broths, you’ll need to take them with you! There are two good options in this category depending on how you’re consuming your homemade bone broth. 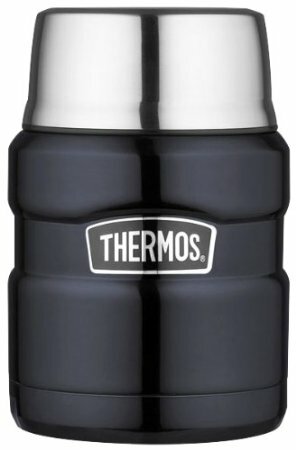 This 40 ounce thermos is a great option for those of you on gut-healing diets (like the GAPS diet) that require regular drinking and sipping of bone broth throughout the day. This wide-mouth Thermos is better for transporting a full meal in the form of a broth-based soup or stew. The large lid can also double as a serving bowl. For the majority of us that means a cheesecloth-lined strainer or a fine mesh strainer. Another choice is the bouillon strainer below for those of you that make large batches. If you don’t have a fine mesh strainer you’ll need to line a regular colander/strainer with cheesecloth to filter out the larger bits and particles. 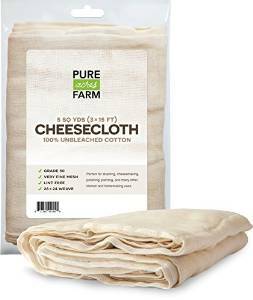 This cheesecloth product is reusable, is made from unbleached cotton and comes in a quantity of 5 square yards (which is a lot!). The fine mesh weave also makes straining stocks possible without having to fold the cheesecloth multiple times. 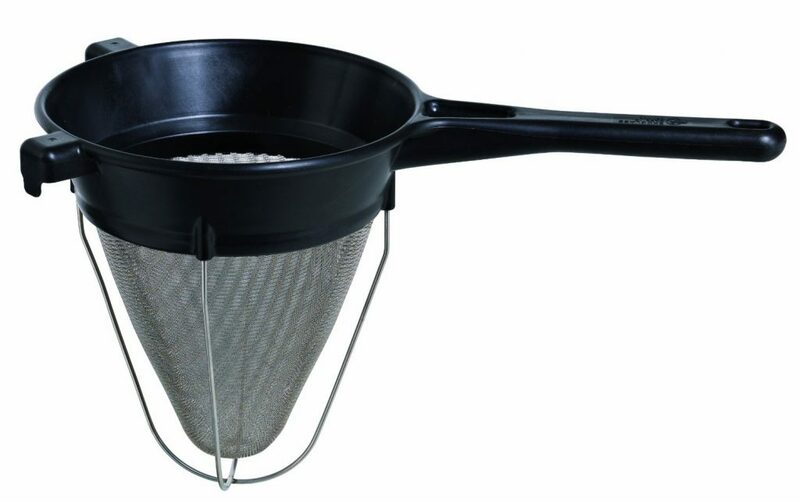 If you’re looking for a simple, lightweight fine mesh strainer that doesn’t require the use of cheesecloth, this one more than does the job. Lots of choices here. It just depends on how you use your bone broth. I recommend avoiding using plastic when possible though I do use it when I run out glass jars. Here are two common options for storing broth in both large amounts and small. This is how I store most of my broth. Regardless what size you choose, make sure you’re using wide-mouth jars. 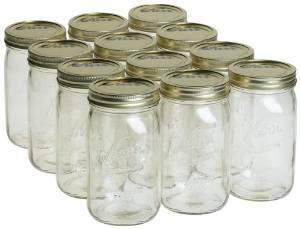 Jars with curved necks can easily crack if you overfill them. I mostly use quart-sized jars as most recipes call for broth in quart-sized amounts. 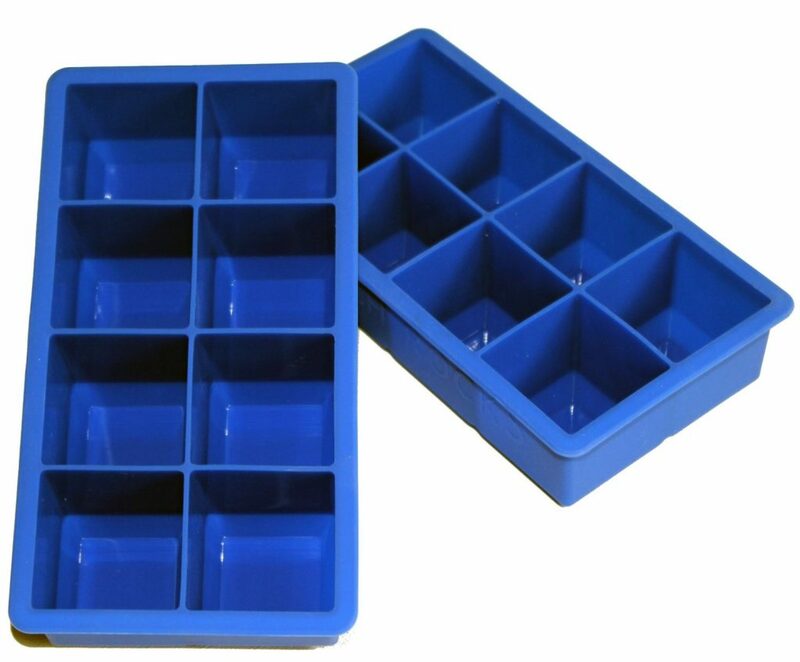 Ice cube trays are a great way to freeze broth when you need smaller amounts for things like cooking veggies or rice. These ice cube trays are made of silicone, are BPA-free and pop out of the trays very easily. Each cube can hold about 3 ounces of broth which is more than most! Once you get hooked on making lots of bone broth, trust me, your kitchen freezer will fill up fast. 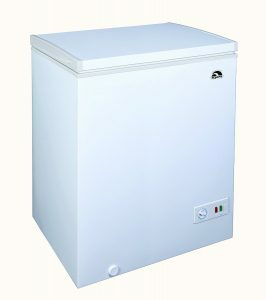 I invested in this chest freezer two years ago exclusively for storing bones and for storing broths. This one is bare bones (pun intended) but reasonably priced and gives me more than enough space for my broth-storing needs. Are there other items you’d like to see added to this post? If you have additional suggestions, please comment below and I’ll continue to update this post in the future!